So what will happen when the approval is finally given for our troops to enter Iraq. One hint - it won't be quick. This piece for the Canberra Times examined why the war is unlikely to be over by Christmas . 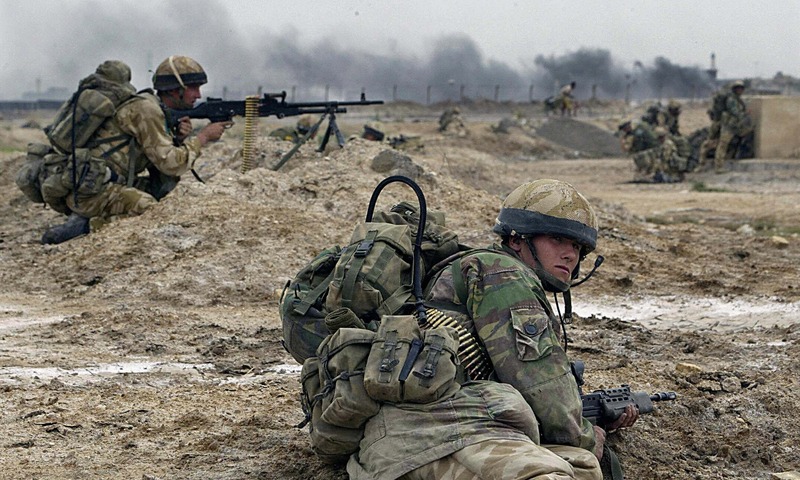 . .
Our advisers will soon be on the ground in Iraq, however don’t expect the war to be over by Christmas. Yes, there’s the (very slight) possibility that ISIL will, suddenly, collapse – but don't bet on it. Despite all the horror and terror, the caliphate is doing everything it can to establish itself as a country. Tearing it down will require extended operations. The status-of-forces agreement has been signed with Baghdad, but not everyone’s welcoming Western advisors. This is not a simple case, where we will teach the Iraqi’s how to fight. Their army is old, experienced and proud. They’ve fought battles before. What their officers want is access to better indirect weapons systems (such as the ability to call in air power or bombing for support) and, critically, the knowledge that orders will be carried out when they are given. That's where the Australians come in. They’ll provide the spine at critical points to ensure the organisation they’re supporting can function. Their remit, to advise and assist, will stretch from the sharp end (coordinating air support) to the rear (insuring the Iraqi logistics systems are pushing up the ammunition required to fight and win). As such the advisors will "lean forward", but won't fight the battle. It will take time for our soldiers to embed with the Iraqi forces. Trust develops slowly; it can’t be rushed. It requires respect on both sides. An officer working with the Afghan army describes how this can be a counter-intiitave process. He had a serious disagreement with the commander he was mentoring. "Sir, with respect, I disagree", he said, smartly saluted and walked out. For four long days there was no contact until eventually, the general sent for his advisor. Nothing was said about the argument; there were no apologies on either side. Nevertheless from that moment the two worked cooperatively together. Markers needed to be laid down. Fighting a war demands trust between individuals; establishing this takes time. I'm being briefed in a sparsely furnished demountable, perched on the edge of the desert. Those going into Iraq – an officer-heavy contigent drawn primarily from 2 Commando, although boosted with specialist communicators, logisticians and medics from elsewhere – has been acclimatising and waiting. “The time our people have been waiting to go in has been a blessing in disguise,” a senior Australian officer says. It's given them time to get to know each other and work up together." He pauses as he considers the group. "There's not been a peep, not single a whinge of complaint while they’ve been waiting. Their commander is probably the most impressive officer I've seen." Excitable media reports focusing on the speed of ISIL’s advance sometimes made it seem as if the capital would fall before our troops entered Iraq. Yet the insurgency’s displaying a limited ability to fight, and this will be the crux of the counter-offensive. "Some of the [Australian] advisers have been in Iraq before, but that’s not the key. The point is these people are specialists", continues the officer. "They'll be working with interpreters, helping the Iraqi’s orchestrate their units into combined Arms teams that can fight. Effectively. They'll provide a support network around their commanders to make sure the job gets done," he continues. "If we're going to fight and win, everything needs to be in place. It will take different units a different amount of time to prepare and be ready." A lot of the support our forces will provide won’t actually be at the front. The officer quotes an old proverb to me. "For want of a horseshoe, the battle was lost. Well that's true. The love will run out pretty quickly if there aren't enough munitions on hand when they’re needed." That's why the start of any counteroffensive will take time to roll out. The Iraqi army has fallen back, time and time again, because it's been outmanoeuvred. There's nothing special in ISIL’s technique of rapidly encircling the slow-moving defenders. Nevertheless, because Iraqi units have found those holding their flanks have fled, they've retreated too. A withdrawing unit can rapidly lose cohesion and turn into a fleeing mass of fugitives. This has a contagious effect. The job of the advisers is to prevent this happening by building enough trust to allow the government forces to regain the offensive. It would be fair to say Baghdad hasn't embraced our offers of assistance with quite the aclarity that might have been expected. Politics in the Middle East is somewhat more complicated than suggested by Tony Abbott's sparse characterisation of ISIL as a "death cult". The phase is evocative but it's also simplistic. It brushes away nuance, such as the reason it has so much support. These factors explain why the counter-offensive isn't likely to begin for months. There’s more than a chance that, because of new personalities at the top, the new regime in Baghdad is likely to be more worthy of support than the previous government. Under Nouri al Maliki, sectarian divisions were allowed to fester until they ignited the current rebellion. This that will determine the eventual success of the counter-offensive. Abbott got one thing absolutely right: ISIL is abhorrent. The real question is though, what are we installing to replace it?